Last week I had the pleasure of speaking with Lyndsay Edwards of the Allergy Blog Awards UK and recording a podcast about food allergies. 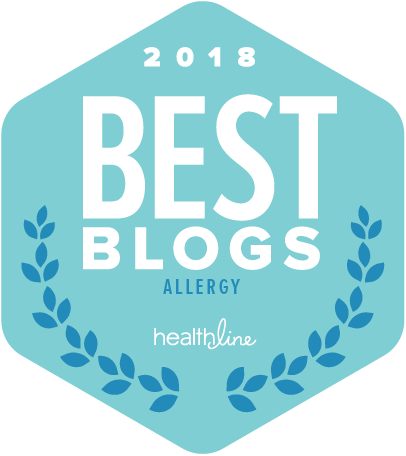 As a fellow food allergy parent, Lyndsay herself is an award-winning blogger for Living with Cow’s Milk Protein Allergy and writes weekly for The Children’s Allergy Foundation. 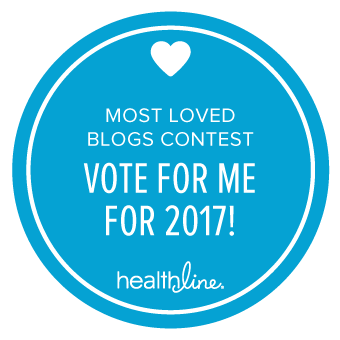 Through Allergy Blog Awards UK, Lyndsay is adept at gathering useful information and recording her interviews in the form of a podcast. Her podcasts are downloadable, fun to listen to and easy to digest. 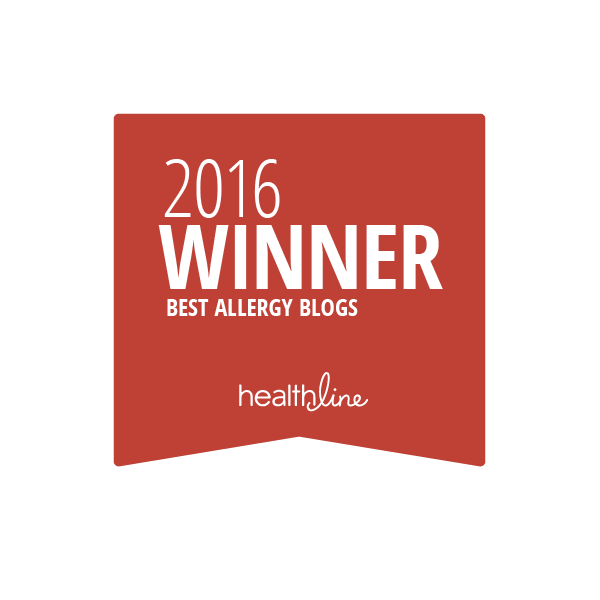 My podcast focuses on a topic near and dear to my heart: how to parent positively in the face of food allergies. Food allergies are nerve wracking. 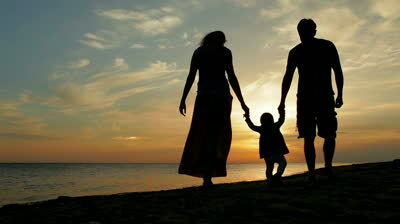 Parents have to put in extra effort to avoid transferring their anxieties to their children. And, parents of food allergic children must focus on empowering their kids in a unique way. Until recently, there was no “treatment” for those with food allergies. We may now be on the cusp of a big breakthrough for patients with peanut and milk allergies. I’ve been following all the latest buzz about Viaskin, a peanut patch developed by biopharmaceutical company DBV Technologies. This patch aims to desensitize patients allergic to peanuts through their skin, so that the risk and reaction associated with accidental ingestion may be reduced. DBV is also partnering with Nestlé Health Science in developing on a non-invasive, ready-to-use patch-test tool to diagnose milk protein allergy called MAG1C. Between 5 and 15% of infants worldwide have a milk allergy. But because their symptoms can sometimes be non-specific, this allergy is often difficult to diagnose. Missed diagnoses can lead to nutritional imbalance, infant distress, and in some cases to life-threatening anaphylaxis. To learn more about DBV’s innovative approach and more about Viaskin specifically, I interviewed Susanna Mesa, Senior Vice President of Strategy for DBV Technologies. 1) How did DBV decide to pursue a treatment for food allergies? Dr. Pierre-Henri Benhamou, Chairman and CEO of DBV Technologies, was a pediatric gastroenterologist, and in his daily practice, he often worked with patients suffering from food allergies. As there are no approved treatments for food allergies, it was clear there was a large, unmet medical need that was not being addressed. While some traditional immunotherapy routes had been explored in the academic setting, the severe side effects associated with these other methods limited drug development in the past. Pierre-Henri envisioned developing a treatment for food allergies that was safe and efficacious, but also, that was patient-friendly and convenient. This is how the Viaskin patch was developed, with patients in mind. 2) What can you tell readers about the treatment itself, how does it work, what is it, etc.? Viaskin is not currently approved by the regulatory agencies, and the treatment is being tested in multiple clinical trials in the U.S., Canada and Europe. The most advanced product candidate is Viaskin Peanut, which is currently being investigated in a Phase III trial in children ages 4-11 years. Viaskin bridges cutting-edge technology with a scientific breakthrough. The Viaskin patch is based on Epicutaneous Immunotherapy, or EPIT, DBV’s novel immunotherapy method, which aims to desensitize food allergic patients by leveraging the skin’s immune characteristics. EPIT targets the upper layer of skin where there is a concentration of antigen presenting cells that activate the immune system without allowing passage of the allergen into the bloodstream. In clinical trials, we have observed that the absence of allergen in bloodstream allows Viaskin to desensitize patients without causing any serious adverse events. Today, Viaskin is being investigated in clinical trials for peanut and milk allergies, and preclinical work for egg allergy is ongoing. 3) Do you expect to expand your technology to treat other common food allergens such as tree nuts, shellfish, soy, etc.? Is DBV tailoring their success to help food allergy patients in different countries (i.e., peanuts are some of the most dangerous in the US, but sesame is more common in Israel and buckwheat in Japan, etc.)? Our mission is to offer a novel, efficacious and patient-friendly therapy to all food allergies patients. Our technology platform allows us to target many food allergies, but we try to prioritize our development by assessing which areas have the highest unmet medical need, which is why we are aiming to address peanut allergies first. However, milk allergy, for example, while it is very common in U.S. pediatric patients, is also very common in Asia and other countries. We are a global company, with headquarters in the U.S. and France, and we hope that in the future we will continue to increase our reach and presence in other countries as well. 4) How long is the average treatment period? At this stage because we are still investigational product, we believe the duration of treatment will be based on each individual patient’s needs. 5) What is the goal for the average patient? 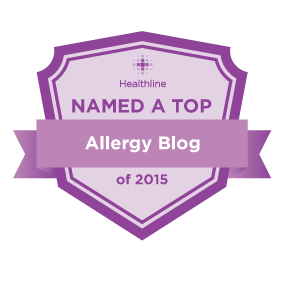 Is it tolerance to a certain level of their allergen or are they considered to be no longer allergic? In our ongoing clinical trials, we are evaluating patients’ desensitization over time, but our ultimate goal is to derisk patients from the life-threating reactions that put them in jeopardy —we want to get them to a level of desensitization where they will be protected from the risk associated with accidental exposure to peanut protein. 6) What is required of the average patient following treatment with a Viaskin patch? Is there any medication or maintenance involved? As of today, there is no approved medication or maintenance to treat food allergies. We believe maintenance regimes will be tailored to each patient specifically by his or her physician. 7) What is the status of the three Viaskin patches? Are they available to food allergic patients? The Viaskin treatment is still in the pre-approval phase, and as such is not yet available for patients. Our Viaskin Peanut patch is the most advanced and a Phase III trial is being conducted for this treatment for patients ages 4 to 11. Viaskin Milk is currently undergoing a Phase II trial, and we are still in the pre-clinical stage with our treatment for hen’s egg allergies. 8) Who is a candidate for Viaskin Peanut? Are there any age or other exclusions from effective treatment? The treatment is not currently approved. 9) What is the benefit of using the Viaskin patch over oral immunotherapy? There is currently no approved treatment for food allergies, and because of that, there haven’t been any comparative studies. But, what we want to offer patients is a convenient, safe, effective treatment, and we believe that there is a unique value in that focus that it is not currently available with other methods of immunotherapy. 10) How can someone get more information regarding using the Viaskin Patch for treatment? Where can they find doctors/clinics using this innovative technology? As Viaskin is still in the pre-approval phase, the patch is not yet available for use. With respect to any ongoing and future clinical trials, trial centers that are actively enrolling patients are listed on ClinicalTrials.gov where information on the various participating centers is available, as well as on the DBV website. Today is International Autism Awareness Day and the entire month of April is Autism awareness month. So, you may see people going blue today in support of Autism research and hear of autism awareness walks. And you can lend a hand, too! Download ContentChecked’s app today. ContentChecked helps those with food allergies find grocery products that are safe for their specific allergies. For each download (free or paid) during the month of April, ContentChecked with donate $1 to Autism Speaks, the world’s leading organization dedicated to funding research into the causes, prevention, treatments and a cure for autism. Follow the link for the answer…. ContentChecked Blog: “Stunned to Silence”. 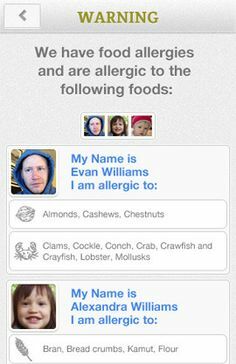 ContentChecked in an innovative app for people living with food allergies. And, as you can see, they also have a blog filled with interesting information. 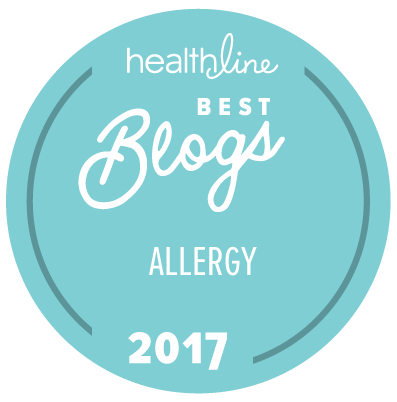 I’m thrilled to be partnering with them as they grow and help simplify life for people not just with food allergies, but for those (like me) living with migraines as well. Writing about my first emotions following my son’s food allergy diagnosis brought me right back to those early days that were filled with questions and uncertainly. I’m sure many of you felt similar senses of worry, inexperience, anxiety… Look how far we’ve come, baby! Take a moment today to appreciate how well you’re handling your family food allergy situation. And if you know someone who has just received a food allergy diagnosis, send them here and to ContentChecked (“Steps to Success”) to get them started on a good path towards managing food allergies. My sister-in-law read about a clever new app called ScanAvert ($1.99 per month) which aims at helping people read ingredient lists. We’d begin by entering in my son’s food allergies. By scanning the barcode of a grocery item, ScanAlert warns you if the item contains a particular allergen. This app also offers substitutes, allergy recall information, pharmacy, and GF information in addition to listing ingredients. By its own description, ScanAvert could be useful not only for the FA, but also for the diet and nutrition conscience, and individuals who diabetic, pregnant, or otherwise following a restricted diet. I may give this a try as a back-up system. It’s easy to miss one ingredient in a list written in fine print. However, it feels funny to try a barcode scan to tell me if something is safe for my child. But, maybe that’s because he’s severely allergic to several allergens and not merely sensitive. I would definitely rely on this if I were using it for nutrition and other non-life threatening situations. Has anyone ever used this app? Would you? I just read about a few new smartphone apps that are worth it for every parent to download. Those of us with food allergic children simply have an extra reason. The first is iTriage. 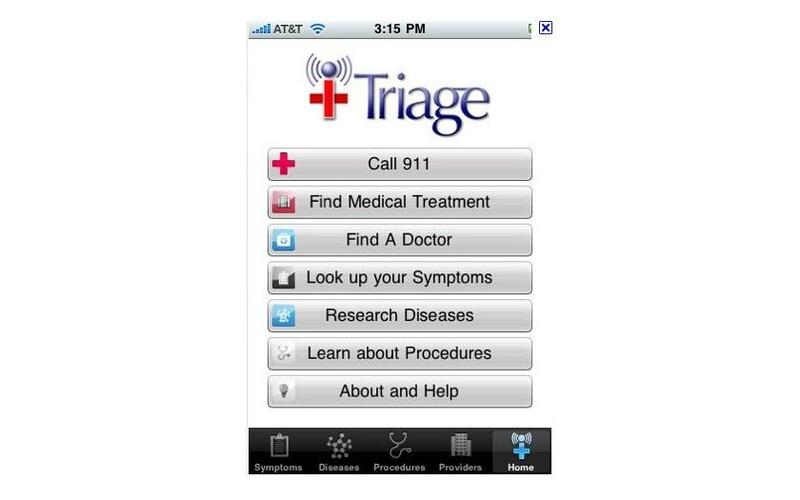 Performing on the Android and iPhone platforms, iTriage houses a comprehensive list of emergency rooms, hospitals and urgent care facilities – listing their distance from your current location, their address, phone numbers, directions, ratings and wait times. Because it pulls them up based on your location – wherever that may be, this app is essential when you travel. iTriage also helps users make informed health decisions offering information about symptoms, medical procedures, and even helps you locate a doctor. This app is user-friendly and has a voice-input option to get you the information quickly. Operating for iPhone only is the findER app. 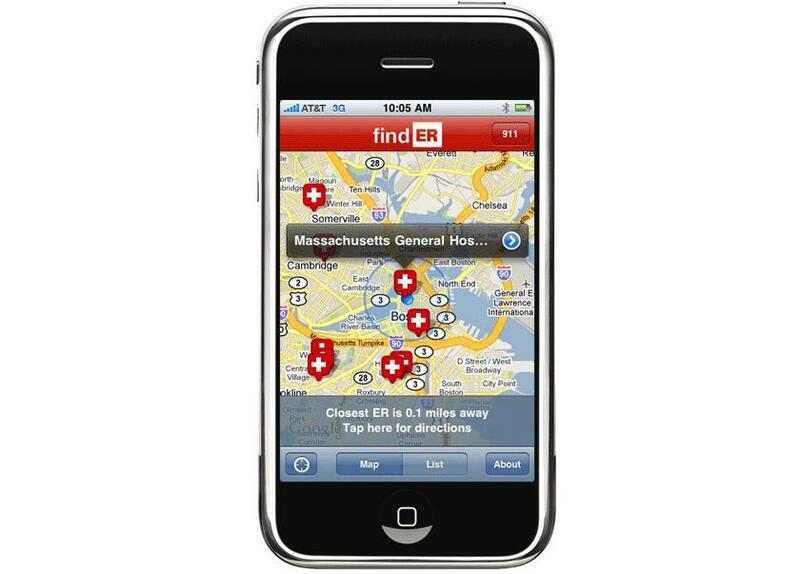 Like iTriage, findER uses the phone’s GPS to search for and list the nearest emergency rooms and/or emergency departments (displayed either in map or list format). With one-click, a user can obtain directions and with another click will be directed to the web to obtain more information about the medical facility. I hope no one ever has to use these apps. But if you do, you’ll be glad you had them handy!